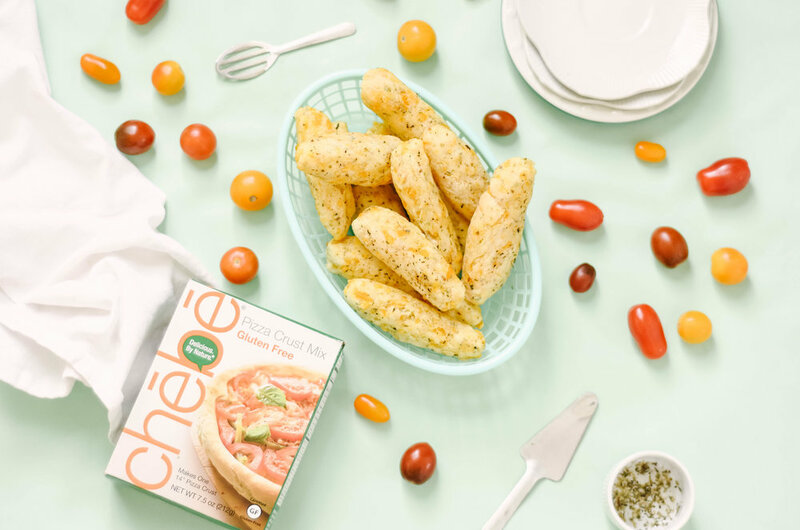 Pizza night just got better with this gluten free + dairy free breadstick recipe with Chebe Bread. One thing we can miss most on a medically necessary gluten-free diet is bread. Am-i-right? These breadsticks do not disappoint +your non-gluten free friends may even love them more than the traditional breadsticks they’ve tried. 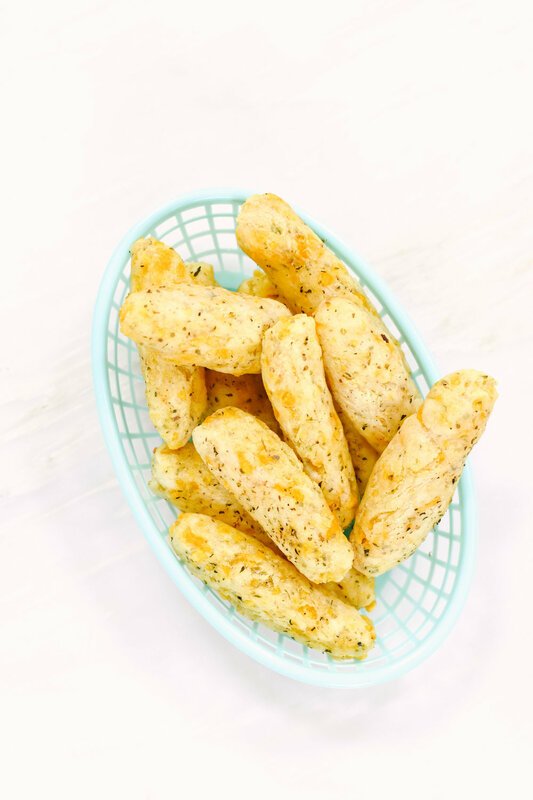 BLEND Chebe Mix with 2 tbsp oil, 1 cup shredded non-dairy cheese (cheese is optional, sharp cheese flavor works best) & 2 large eggs (room temperature). Or, egg replacer for a vegan alternative. Slowly blend in 4 tbsp non-dairy milk. KNEAD dough with your hands until smooth. If it is too dry, add 1 tsp water. ROLL + form dough into small breadstick shapes. PLACE on a baking sheet covered in parchment paper. Poke surface with tines of fork. OPTIONAL: sprinkle with additional garlic salt or oregano. COOK at 405’ for 15-20 minutes. 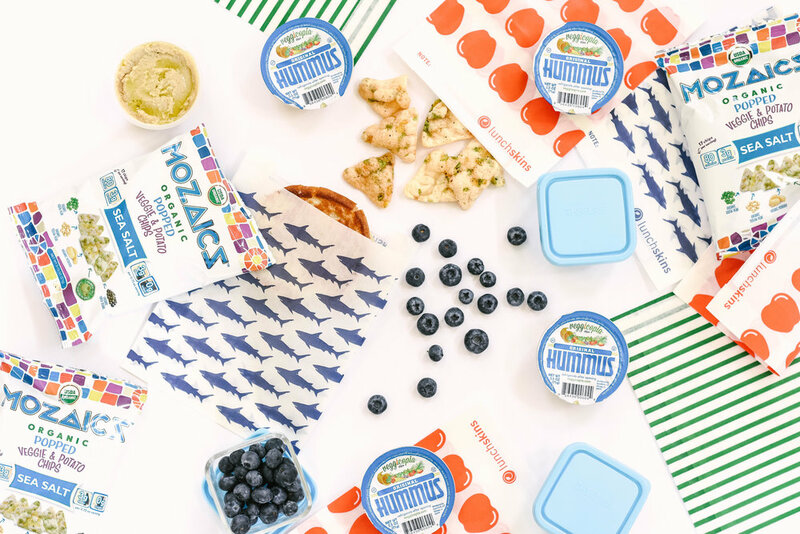 Recipe developed by Lindsey Willson of American Gluten Free + Lindsey Lee & Co with Chebe.